(February 2005) Funny how time has a way of simply creeping up on you then quickly disappearing. I know last fall I was determined to accomplish a number of things that I had not had time to do in the summer. Then it seemed like the months sped by and my list had not decreased. September became October. October turned into November. December rushed in like a speeding train and was just as quickly gone. The list lingered and remained barely dented. When discussing New Year’s resolutions over the holidays with my good friend, Larry Andrade, it hit me that this past year many of the things I had hoped to accomplish were like resolutions: easy to make, but not always things that were achieved. Larry told me outright that resolutions are merely psychic band-aids that are never meant to be achieved. Larry is of course by nature a realist; where I tend to be an idealist. His contention is that setting a goal is the better option as it is usually achieved. Resolutions are just so much hot air. After letting that sink in, I realized that he was dead-on. He had me. I think many of us are the same way. We want to accomplish something and then life gets in the way and deflects our attention. Forward movement requires forward thinking, a lot of discipline and a great deal of discipline. One of the people I’ve come to know and respect has been able to do just that: set goals and stay with them to completion. A member of SAG, AFTRA, AEA, he’s a writer and talented individual who has been able to make a living at his craft, here in the wilds of Providence. His name: Duncan Putney. I caught up with Duncan on a cold and blustery January day and threw out my twenty questions and the kitchen sink. Duncan, as usual, was gracious and filled with a creative energy I rarely see in others; particularly during this time of year when a flight to Aruba seems an ideal tonic for shoveling snow. He is always creating links between an idea and reality; seeking ways to bring about a result. Duncan seems to have a philosophy where goals are not obstacles; but problems to be solved, settled and built upon. GTM: So Duncan, Tell our readers a bit about yourself and how you got into your career? DUNCAN PUTNEY: I grew up in Lynnfield, MA and graduated with a Bachelor’s degree in Business Administration (BBA) in accounting from the University of Massachusetts at Amherst, but I spent most of my time in the theatre department. My high school guidance counselors talked me out of pursuing degrees in history, theatre, and creative writing because they weren’t practical and there was no future in them. I started pursuing a professional acting career after graduation; university taught me that I did not want to be an accountant. I worked as a temp, studied acting, did improvisational theatre, and did lots of extra and stand-in work to start with. I got my SAG card from doing a principal part in a national Coors beer commercial. GTM: Really? So, tell us about SAG and its role for artists in the region. DUNCAN PUTNEY: The Screen Actors Guild is not like other unions, in that it does not help individual members get jobs, it does protect you once you have gotten that acting job on your own. However, the New England Branch of SAG has been actively pursuing efforts to bring more potential acting jobs into New England by supporting initiatives that both educate the Hollywood decision makers about the availability of quality talent in New England and supporting efforts that assist legislative measures to make filming in the region more attractive. SAG has recently been working with film festivals to promote the availability of experienced union talent for smaller independent films that often offer actors some meaty parts to play. I was fortunate enough to be on the New England SAG board for six years and to serve at the local vice president; I can’t begin to tell you how hard the local staff and officers work for the members. GTM: How did you land in Providence? DUNCAN PUTNEY: I came down to Providence in 1997 to help out Bob Zolli and Susan Arundale start a non profit professional musical theatre company called “A to Z Theatrical Productions.” We produced a lot of great critically acclaimed shows with featuring Broadway and national tour stars with local professional talent. I talked my friend, Anne Mulhall of LDI Casting (LDICasting.net), into letting me create the History Casting division. History Casting finds historic reenactor extras and historic consultants for film and television production. Credits include the films “By the Sea,” “The Patriot,” & “Mystic River” as well as The History Channel, PBS, Country Music Television, and others. History was always a hobby of mine and now it keeps me working in another area of the film and television business. GTM: But why Providence as a base? …considering you have work that takes you to so many places. DUNCAN PUTNEY: I was able to afford to buy a great home in the Federal Hill section of Providence. I can walk to all of “Downcity,” as well as the train station to travel up to Boston or down to New York for auditions and work. I get a lot of writing done while sitting with my coffee at Tazza Café on Westminster Street. I was able to simplify my life with no mortgage, giving me more time to act, write screenplays, do historical consulting and write magazine articles on history and filmmaking. Providence has even inspired one of my screenplays about a young man from a traditional Italian family who would rather grow dreadlocks and be a guitar playing Rastafarian than study music at Berkeley. GTM: Hmmm… that’s one I haven’t seen yet. What do you see as the strengths of this region in terms of filmmaking? DUNCAN PUTNEY: New England has a wealth of varied locations from country to city, from oceans to mountains, and from colonial to modern. We have a lot of talented professional actors, writers, directors, crew and support people that call New England home, so we have the tools to support film production. We also have many industry decision makers that came from here, that went to school here, or that have homes here, so we have to get them to want to “bring it home.” When they have a chance to put their two cents in at a pre-production meeting they can sing the praises of New England. GTM: What advice would you offer those charged with bringing film into this region? Can things be done better and more efficiently? What so you see as weaknesses? DUNCAN PUTNEY: I advise them to reach out to those decision makers in Hollywood that are alumni of New England and those that still reside here. Educate them and get them to want to “bring it home.” With the declining value of the dollar, shooting outside of the United States is not so attractive, so if we can work on other legislative efforts like tax incentives, we will only look better to Hollywood. We really need some sound stages large enough to build interior and cover sets. I have always thought that a permanent back lot New York City street set for filming fires, explosions and the like would be a great asset. It could also do double duty as a training area for homeland security and emergency preparedness drills. GTM: As a screenwriter, what projects are you currently developing. Tell us some of your success stories and what drives you with this craft, plus how you got started. DUNCAN PUTNEY: I am currently developing several projects including “THE YEAR OF BAREHANDED BASEBALL” a documentary script with Tim Norton about the 1884 World Series, “SPIRITS OF ‘76” a feature length family ghost story, “SHOOTOUT” a modern day western and “A BIRD ON ICE” a modern day/WWII historical thriller. I am also working with Dean Huh of Performance Partners Organization creating, developing and pitching several original television projects. I have had some good feedback when pitching some of my other scripts and I’m hopeful that one will hit soon. My screenplay “TOAST,” won at the Woods Hole Film Festival short script competition, and was a selected script for Bravo TV’s Situation Comedy competition. My period dark comedy “THE RESURRECTIONSIST” is under consideration at several production houses. I plan on heading out to Pitch Fest in Los Angeles with all of my scripts and treatments again this spring. Recently I am most proud of a legislative idea that I had called the Military Family Relief Fund bill that is being introduced by Representative Jeffrey Perry of Sandwich, MA. I had the idea in 2002 when my brother, Air Force Major Douglas Putney, was deployed in Afghanistan. The bill creates a fund to assist the families of deployed National Guard and Reserve members and it places a donation box at the end of the Massachusetts state income tax return. I am also working with friends in about fifteen other states to do the same. GTM: Tell us about some of the experiences you have had while working as an actor or writing; what have you learned? DUNCAN PUTNEY: There is no glamour for the majority of people in this business. It is long hours and hard work, but if it is the only thing you want to do then it is the most rewarding thing you can do. In Clint Eastwood’s “Mystic River” I was cast in a scene opposite Tim Robbins. We both froze outside in the cold and snow all night just to get a few seconds of film, but I had a great time working with great people. As a writer I’ve learned to accept the criticism that I can use and forget about the criticism that I can’t. I love it when I get a rejection from someone who actually read my script and has something constructive to say instead of a generic dismissal from someone who never bothered to read it. 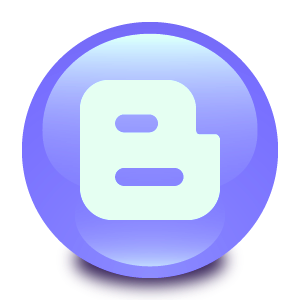 GTM: If you could only do one thing within the realm of your work, what would that be? DUNCAN PUTNEY: I’d have to say that my dream job would be screenwriting and collaborating on projects with those people that have created all those films that I have enjoyed watching. I have more stories than I have time or resources to pursue as a writer, so given the chance I’d have no problem coming up with ideas. GTM: Where do you see yourself in 10 years? DUNCAN PUTNEY: Please see previous question. Realistically I see myself pursuing what I have been pursuing all along, but with more people writing me checks. 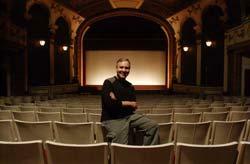 I’d also like to have seen several of my screenplays produced by both major studios and independent filmmakers. I have a sort of writing A.D.D., I tend to work on many scripts at the same time so I’d like to have all of my current fifty projects that range from concepts to treatments and partial scripts finished and be working on fifty more. GTM: What advice would you share with someone just entering your field? DUNCAN PUTNEY: You will spend more time trying to get work than you will ever spend doing the work. Business is the bigger part of show business. You have to market yourself, improve your skills, and network. Start your own marketing support group with other actors to share leads, watch out for scams, study your craft, network, be financially responsible, and don’t listen to listen to nay-sayers. I am working in all of the fields that I love and that my high school guidance councilors told me I’d never make a living in. GTM: What do you think have been your greatest successes? DUNCAN PUTNEY: I think just being able to make a living in this industry when so many actors and writers have to have that second job outside of the business. I created all of my second jobs to be in the business, so doing a job in one area often leads to getting work in another area. Getting a film like “Mystic River,” a television commercial, producing a critically acclaimed stage show, getting an award or selling your writing feels great but when you think about it, it is just the frosting on the cake that is working with talented, fun, creative people in a great industry. GTM: Any additional comments you’d like to share? DUNCAN PUTNEY: Yes, support your local film festival for very selfish reasons. 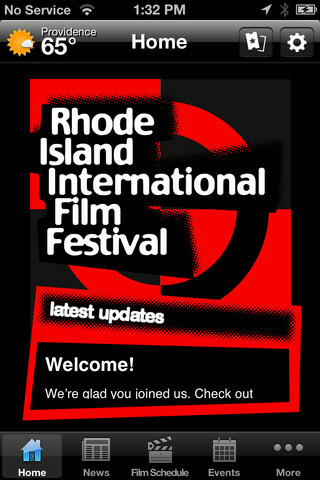 As a volunteer at the Rhode Island International Film Festival (RIIFF) I did more networking with producers, writers, actors and directors without even trying than at many other events I’ve been to. In doing some research on Duncan, I ran across an article that appeared in the Boston Globe in October 2003 by Carol Beggy & Mark Shanahan. It turns out that Duncan was hit by a random "projectile" on his right arm while in front of his house in Providence. That would be his writing arm. While the police say the incident is under investigation, Putney said he believes he was shot and that whatever hit him is still lodged under his armpit. According to the Globe, Eerie coincidence No. 1: In the movie "Mystic River," Putney plays a character who stumbles across the character played by Tim Robbins doing something unusual and is beaten up. Eerie coincidence No. 2: Putney's twin brother, Air Force Major Douglas Putney, had just returned from several months in Iraq, and although he saw combat and was honored for his service, we're told, he returned without a scratch.